I think one of the strongest criticisms of looking at and sharing street art and graffiti online is that the work is generally meant to be viewed in person and that the experience of viewing work through a photograph on a screen is not as good as being there. This point is brought up quite often, probably because it’s often true. Or, at least, the experiences is different. Although I’ve debated with Carlo McCormick on this topic and I do think there’s a lot that the internet has to offer, I will concede that what it offers is at least different and often not as good as what can be discovered when seeing a piece of street art on the street, particularly when a piece takes you by surprise. 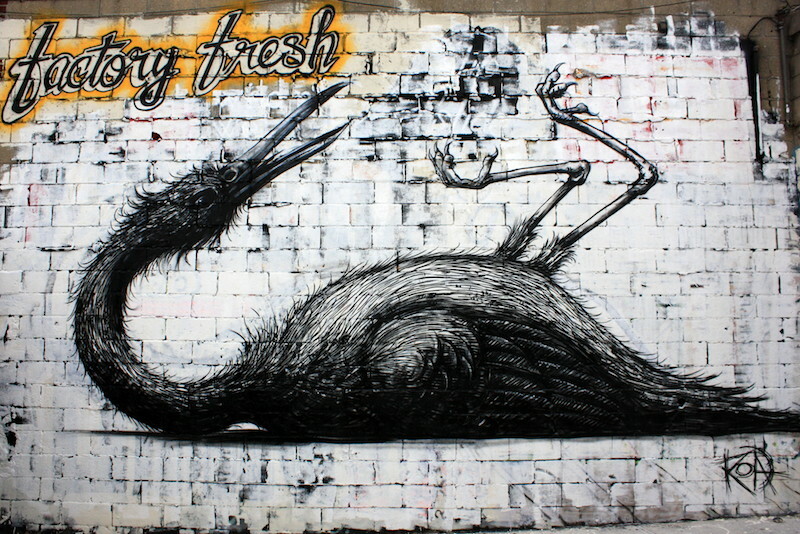 Roa at Factory Fresh in Bushwick. Photo by Luna Park. A great photograph by someone like Katherine Lorimer aka Luna Park of a piece by Roa can be powerful to see, even online, but what a viewer gets from that can be very different from actually seeing the work in person, and, most of the time, the artwork is more interesting in person than in all but the best photographs. Still, a photograph is better than nothing. I’d rather see a photo of a mural that Franco Fasoli aka Jaz has painted in Argentina than not see that mural at all. I’ve never been to Argentina and I’m not scheduled to visit anytime soon, so what’s wrong with looking at photos of the art there, fully aware that the photos are imperfect representations? Still, it is a concern that perhaps a generation of street art fans have basically grown up on seeing street art through photos rather than going outdoors, rounding a corner, and being surprised by something amazing. Nothing beats that feeling, yet there’s a sense that many street art fans don’t fully appreciate that experience. Viewing street art and graffiti through photos is certainly different from seeing it in person, and the experience of seeing a work in a photograph is usually not as good as seeing it in person, but if the option is between imperfect documentation and no documentation, I choose imperfect documentation. It’s just important to keep in mind the photo’s imperfections and the thrill of being surprised by street art and graffiti on the street. 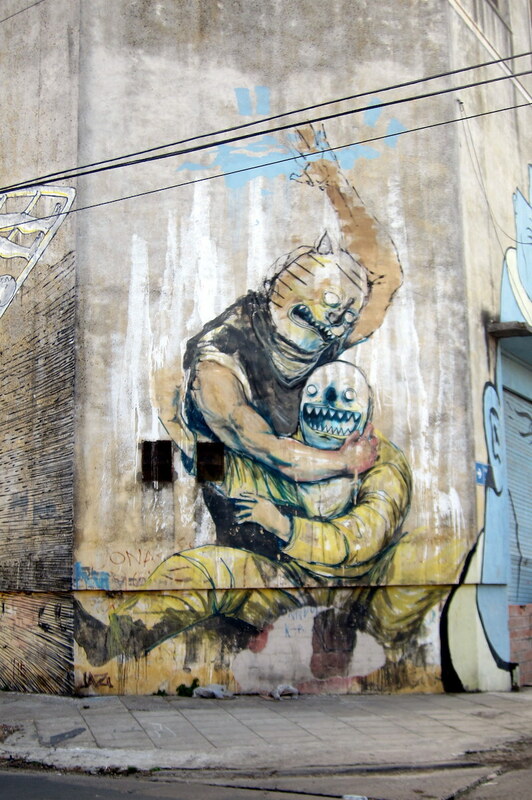 Mural by Jaz in Buenos Aires, Argentina. Photo by Wally Gobetz.